This lesson is obvious. 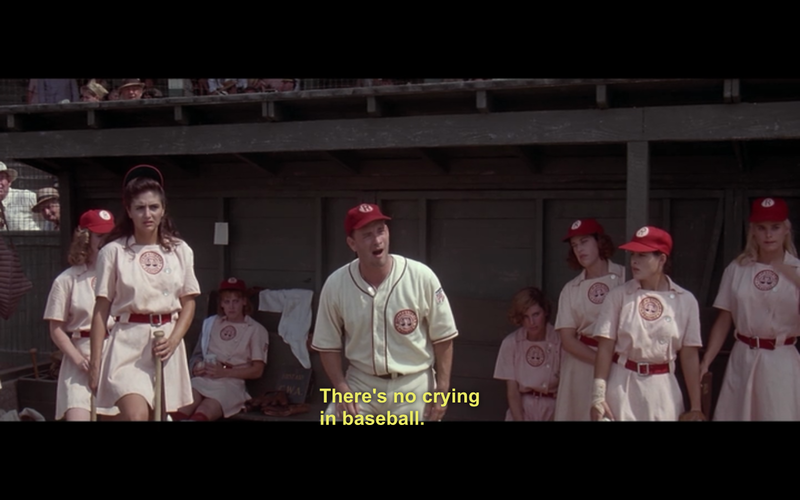 It’s also not true because there is crying in baseball, especially when A League of Their Own is involved. What can you learn from A League of Their Own? So much. I recently rewatched the movie and after I finished crying, I realized how many valuable lessons we can take away from it. Particularly if you are a women struggling with domesticity. Then A League of Their Own is the ideal movie for you to base your entire existence around. Here are its key lessons.